hroughout these events, the Smithsonian stuck to its version of the Aerodrome test flights. There was a need to do so. Fiscally conservative members of Congress and the military were being dragged reluctantly into the twentieth century where wars were decided by weapons as much as tactics. A good national defense strategy had to include a heavy investment in technology. The performance of the Langley Aerodrome had become central to a much larger conversation that the country was having about the role of the government in the advance of science and technology. It was counterproductive for someone to point at “Langley’s Folly” as an example of an investment that didn’t pay off. More important, for the Smithsonian to admit that they had misrepresented the facts of the Hammondsport trials would be as much of an embarrassment as the 1903 failure of the Aerodrome. In August of 1915, Albert Zahm published “The First Man-Carrying Aeroplane Capable of Sustained Free Flight: Langley’s Success as a Pioneer in Aviation” in the Annual Smithsonian Report for 1914. 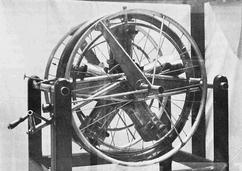 Zahm mentioned the two separate goals of the project, and also claimed that the first goal – the vindication of Langley – was accomplished May 28 through June 5 “…with the Langley aeroplane, kept as nearly as possible in its original condition.” He mentioned some of the changes, but the implication was that these were made during the second phase of the project as Curtiss was investigating the tandem configuration. In the last sentence, he claimed that Langley "developed and built the first many-carrying aircraft capable of sustained free flight." 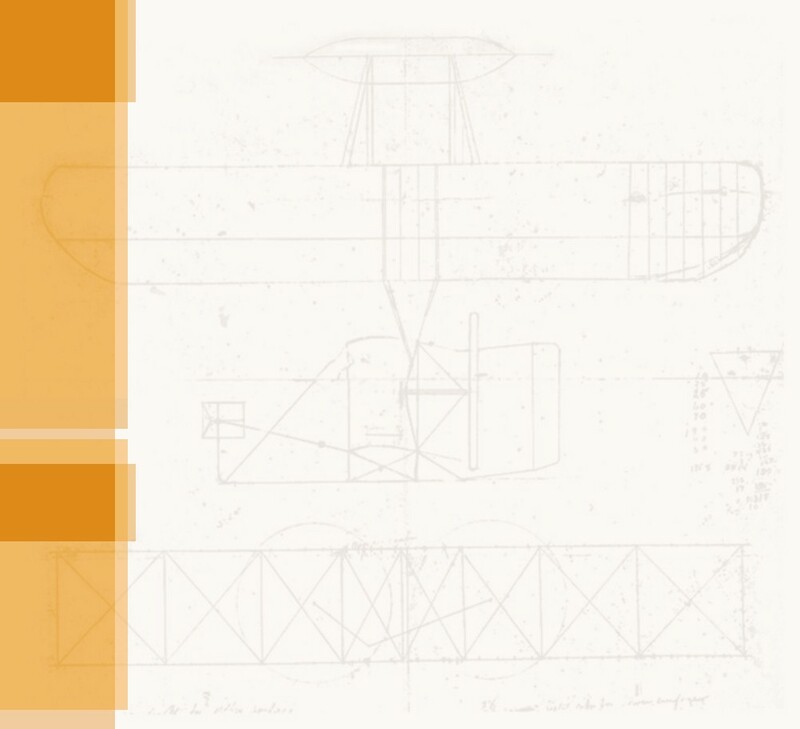 As fate would have it, Zahm's paper appeared in the Annual Report right after a paper by Orville Wright entitled, "The Stability of Airplanes." 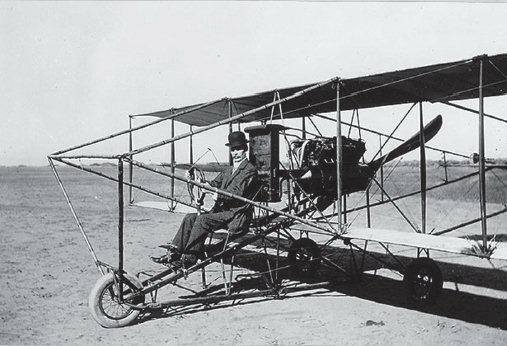 In it , Orville described the science behind the new Wright "automatic stabilizer" – the first autopilot – for which he was awarded the Collier Trophy for aeronautics on 3 February 1914. Orville and Wilbur had worked together on the stabilizer since 1905. With Wilbur now deceased, this achievement was the last fruit of one of the world's most dynamic and prolific partnerships. For the Smithsonian to use this same publication to claim for itself the Wrights' most important and hard-won accomplishment must have hurt the surviving brother to his core. 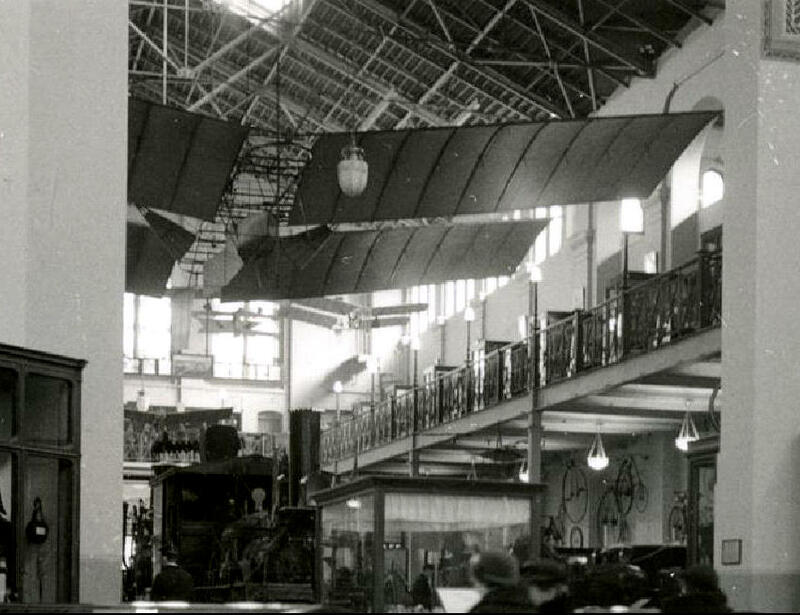 In 1918, the Smithsonian restored the Aerodrome A to its original 1903 configuration and hung it in the Arts and Industries Building. The original label simply identified the airplane, but this was soon replaced with one that read, “The first man-carrying aeroplane in the history of the world capable of sustained free flight. Invented, built, and tested over the Potomac River by Samuel Pierpont Langley in 1903. Successfully flown at Hammondsport, N.Y., June 2, 1914.” Up until now Orville had held his tongue, thinking that any public comment from him might be misinterpreted. “A denial of these statements by me might have been looked upon by the public as a jealous attack upon the work of a man who was dead,” Orville later explained. But it was one thing to overstate Langley’s success in magazines and books, and quite another to exhibit the Aerodrome as the first true airplane in a museum whose purpose was to preserve the history of the nation. Orville began to fight back in earnest. The First Man-Carrying Aeroplane Capable of Sustained Free Flight: Langley’s Success as a Pioneer in Aviation – Albert Zahm's report on the 1914 test-flights of the Langley Aerodrome at Hammondsport, NY and his conclusions that it was the first airplane "capable" of flight. 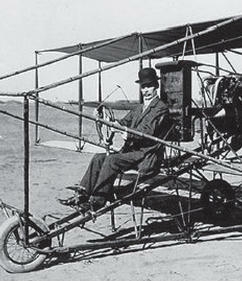 Dr. Albert Zahm in a Curtiss Model D. After the 1914 trials of the Langley Aerodrome, Zahm remained in Curtiss's employ for a short time. 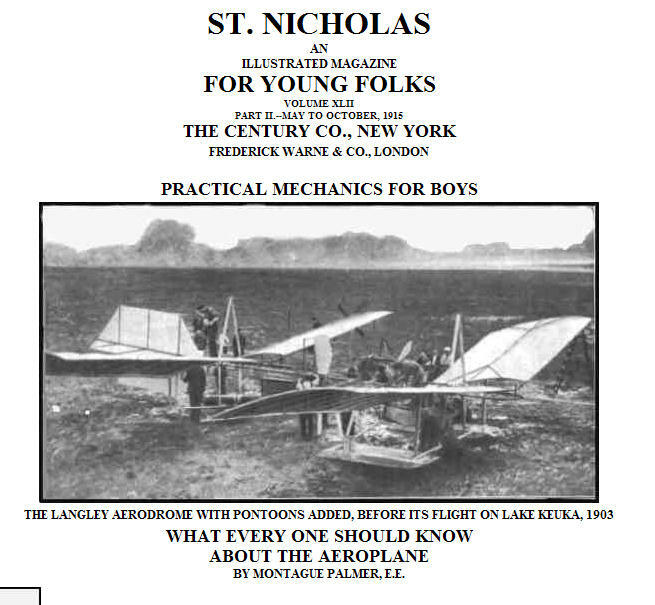 The opening page of "What Everybody Needs to Know About the Aeroplane" from St. Nicholas magazine in 1915. 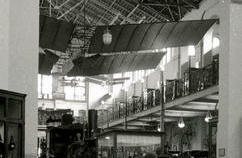 The Langley "Aerodrome A," restored to its original 1903 configuration and hanging in the Smithsonian's Arts and Industries Building. The Manly-Balzer engine that had powered the Aerodrome eventually became an exhibit in its own right.